Chances are you have a smartphone in your pocket, purse, or near you as you read this very blog. 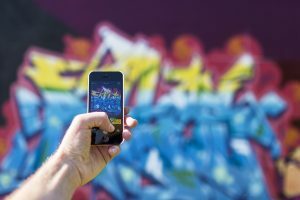 The built-in cameras in your phone have come a long way and can be used to take some incredible pictures, without being a professional photographer. There is no harm in taking lots of photos on your smartphone. Unlike film cameras, smartphones take digital pictures that are simply just a file on your phone. You can easily delete any photos you do not want, so feel free to practice your photography as much as you like. Just like with a traditional camera, the shaking of your hands can alter the focus of the image, often for the worse, causing the image to be blurry. 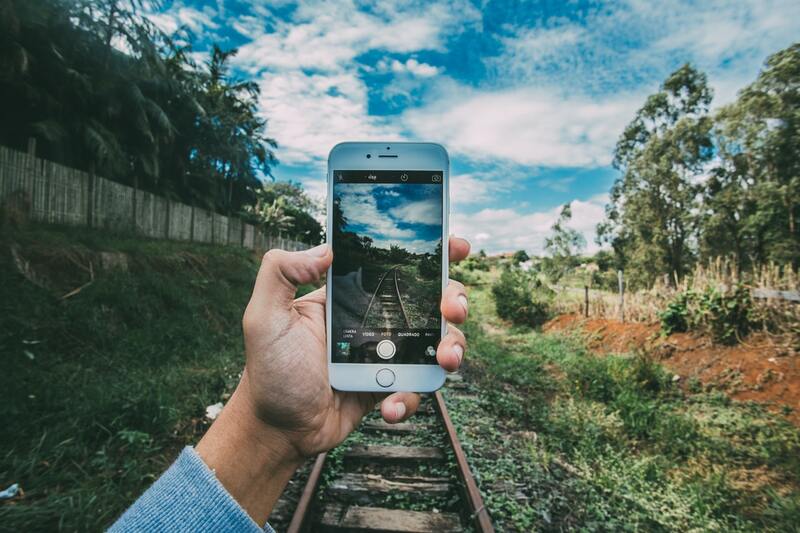 You can steady your camera by balancing the phone on something such as a fence post or by using a tripod or potentially with a selfie stick. Both are very inexpensive and it’s easy to find solutions designed specifically for smartphones. If you’re shooting pictures on an Apple iPhone or Android smartphone, you can easily correct the focus and exposure with a simple tap. With one finger, tap the screen of your phone near where you want the focus to be. A yellow box will appear around the subject and the phone will automatically correct for exposure and focus. Many smartphone cameras have burst photography capabilities that take several photography shots in a row. This gives you the opportunity to take many pictures of the same event to later choose from the best. Just like in traditional photography, aim for abiding by the rule of thirds. Mentally divide or turn on your phone’s grid into thirds vertically and horizontally. Aim for placing the most important elements of the image along the lines, your shot will be more visually appealing. This sounds trivial but it’s true! We tend to carry are phones around with us everywhere we go, coupled with the fact that the lens is on the back of the phone. It is very likely your lens is dirty, which disrupts your photos. Clean the screen with a phone-safe wipe before shooting. Your phone camera likely has a zoom feature that is tempting to use. However, unlike a traditional camera, it’s not as powerful – often resulting in blurry photos. It’s better to take a photo without zooming in, cropping out the extra edges later in a photo editing app or software. Your photos will be crisper in the long run. Your phone camera also contains a flash and often it is set to ‘automatic’ flashing when the camera decides it’s necessary. However, the flash can cause discoloration and potentially blurriness of your images. Set your flash to ‘Off’ and use only when necessary. Many great photo editing apps and software exist to help transform your native photos into beautifully edited works of art. Experiment with many different options to find what works best for you and your photos. Photography is an important part of our lives for everything from documenting everyday events to business uses and marketing. The ability to successfully shoot amazing images on your smartphone is a great skill. Not to mention, it’s fun to see your handiwork instantly. 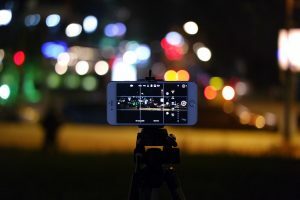 Digital Workshop Center in Denver and Fort Collins, Colorado offers a full smartphone photography class live in the classroom. Click here to learn more about the workshop and see the schedule. Want to learn more about digital photography and photo editing software? See all our digital photography classes here.